Within Teamwork Projects, you can split a message thread from a particular reply to create a completely new message from it. Click the options down arrow to the right of the message reply, and choose Split Message from the dropdown menu. 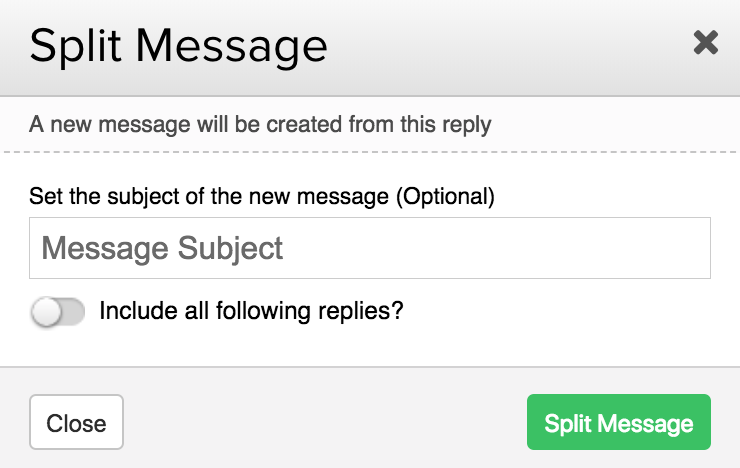 In the split message modal, you can add a subject for the new message. If you leave this blank, the original message's subject will be used in the new thread. You can also choose to include all replies following the current one you are splitting. Note: When splitting a message reply, that reply and any included replies, will be removed from the original thread.